Here is the second project this month for my Blue Fern Studios final post. 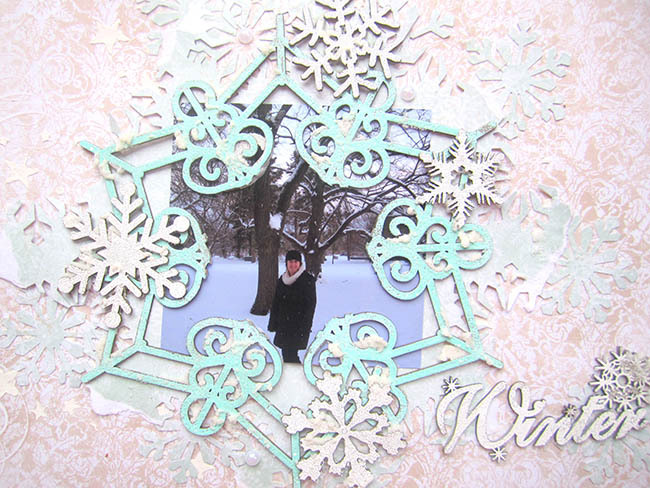 I created this wintery layout using a picture of myself from a few winters ago. 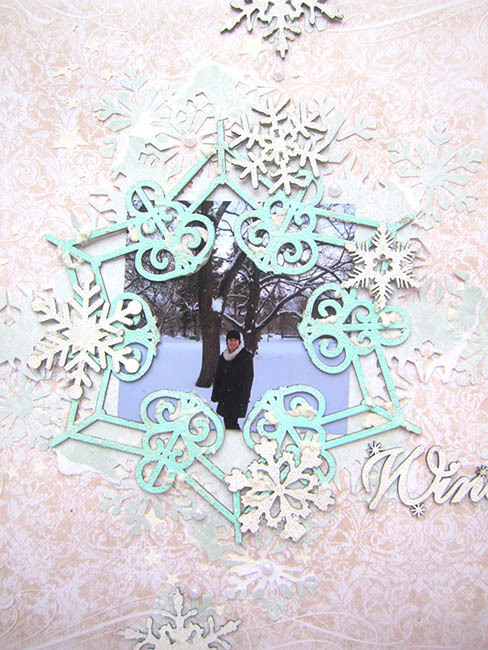 I used the back of the Holiday Cards paper from the Vintage Christmas 2 for the background. I used the large chipboard flake to frame my photo. I cut the inside of the flake so I would have a space in the middle to frame my photo. Then I embossed it with Sea Mist embossing powder. 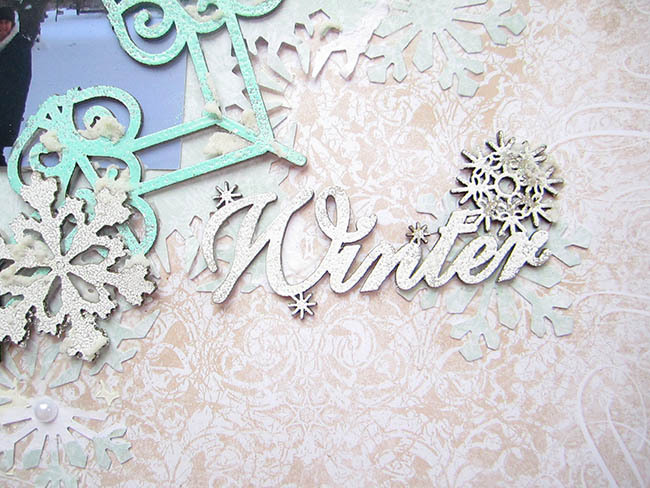 I used some shabby flakes and winter flakes to embellish around the frame. 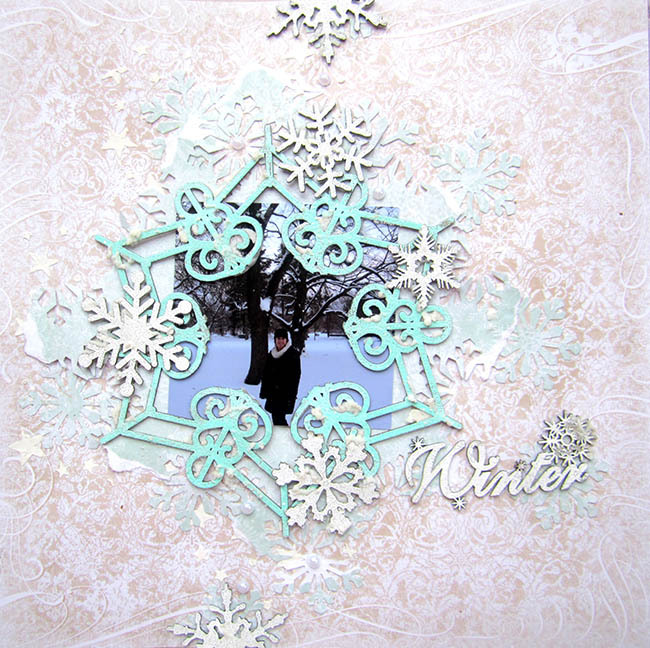 I embossed them along with the Winter title with Snow embossing powder. I also added some snow paste to enhance the wintery feel.